Georgia Toffolo has been named the winner of this year's I'm A Celebrity... Get Me Out of Here. The shocked reality star, known as Toff, was crowned by Ant and Dec on Sunday evening after more than nine million votes were cast. She was odds-on favourite to win the ITV show, but said: "I am so taken aback. Is this real?" Former Hollyoaks star Jamie Lomas came in second place, with radio and TV presenter Iain Lee coming in third. Toff, 23, is known for appearing on E4's Made in Chelsea, joining in the seventh series. She also works for The Lady magazine and is head of events for think tank Parliament Street. 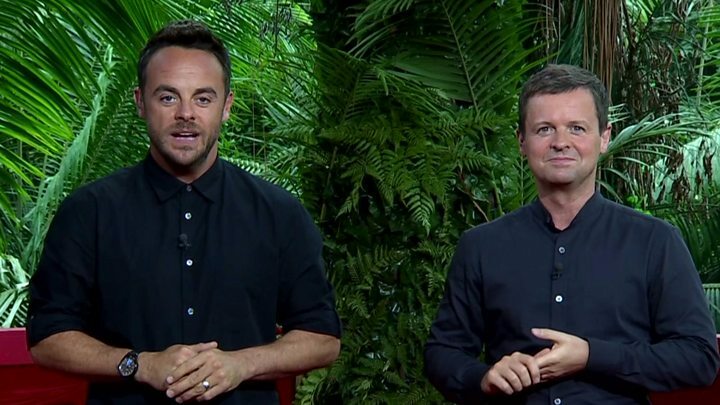 The I'm A Celebrity final attracted an average of 9.2 million live viewers on Sunday night. It was ITV's third biggest audience of the year - behind the series' launch show and the One Love Manchester concert - with a 41% share of the total TV audience. The Strictly Come Dancing results show earlier in the night had more viewers however, with an average of 11.1 million viewers; while the final episode of Blue Planet II attracted an audience of 10.36m. Toff's fellow campmate Stanley Johnson - father of Foreign Secretary Boris Johnson - said: "I knew she was going to make it. I said right from the start that Toff is the one." The winner said her favourite moment of the show was going to collect water with Johnson, with whom she struck up a strong friendship. She follows in the footsteps of previous Queens of the Jungle Scarlett Moffatt and Vicky Pattinson. Moffatt, who won last year's series, said: "It's girls like you that make me feel proud to be a young woman. I am so proud of you." After her win, Toff welcomed the prospect of earning money on the back of her appearance on the show, admitting: "I haven't paid my rent." She told Good Morning Britain's Susanna Reid and Piers Morgan she wanted to take a shot at presenting, saying: "I want to do what you guys do. I want to try it. Who knows?" Toff also said she wanted to "do good" with her win, saying: "There are so many worthy causes that I would love to get involved with."